to fill in the cracks. 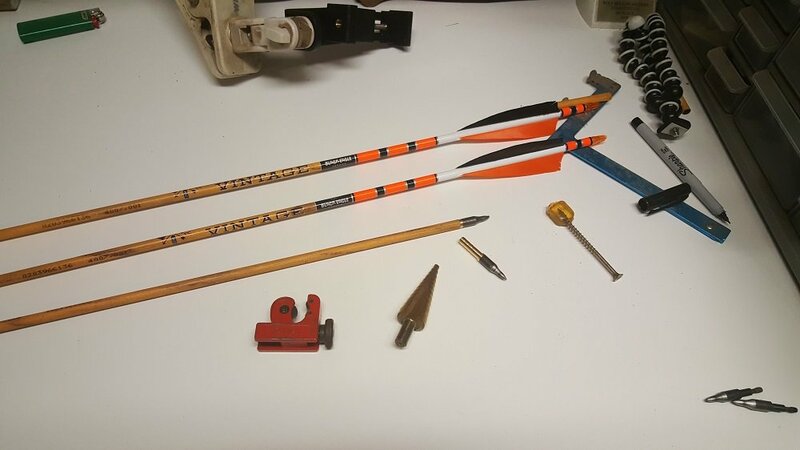 After working on a small plumbing project at home, I had some tools laying on my workbench and also an old arrow that was trash. It was one of those deals where I saw a small pipe cutter , my arrow, and wondered “What if”. I just had to try it and it worked great. to size my Black Eagle Vintage arrows down to my size.